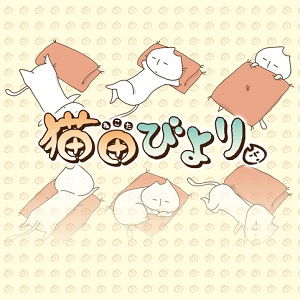 Nekota-san is a pet cat that lives happily with its family. The daughter, Ami, is the one who spends the most time around Nekota, but the cat also interacts quite a lot with their family's housewife mother, who is always working, and their salaryman father. This manga follows Nekota-san's happy and funny daily life. 16-year-old Takatsuki Yuuto has been lucky enough to already meet with success in the manga industry. After he wraps up his series, though, he's looking forward to moving away from manga and more fully experiencing high school life. Unfortunately, the day after he's supposedly done with manga, a favor to a fellow author ends up costing him one absence too many to pass his year at school. Luckily, he has been offered a teaching position at a nearby manga school, though he will be teaching students that are above his age! The head of the school has agreed to help make his attendance problem vanish, since his grades were otherwise fine. Everything will work out, except that Yuuto does not get to leave the world of manga. To make things even more complicated, he has also run into the ghost of a manga author named Tennouji Akira, a young girl that only he can see, and she is now following him around! Will Yuuto be able to handle the new turns his life is taking? Psycho Doctor Kai Kyousuke was a neat psychological drama. The first case mentioned actually ends up much more complicated than I expected. Rough Diamond was pretty good, but it kind of felt like they were cramming a little too much in with the ghost subplot. Nekota Biyori kind of reminded me of Garfield (though Nekota-san does not eat lasagna). Nekota Biyori - If you like cat manga and slice of life, then this easy going manga may be for you. 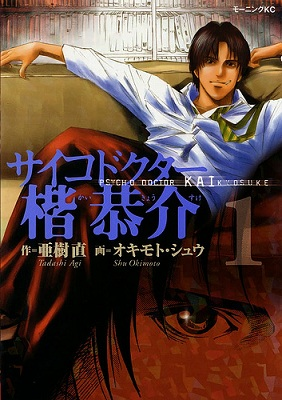 Psycho Doctor Kai Kyousuke - On the other hand, this psychological drama may appeal to those wanting a little more seriousness in their manga and is only 4 volumes long. 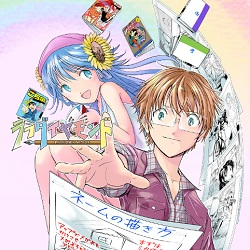 Rough Diamond - Manga Gakkou e Youkoso - This manga appeals to me the most due to the comedy and although the subject of high school mangakas aren't new, this may turn out to be interesting to see how he gets stuck in the world of manga. If you haven't done so already, check out the scanlations of the mangas from previous shout outs which have been recently scanlated: sports comedy Keijo!!!!!!!! (MH link). I dont know why no one is translating Hajime no Ippo. Even summary would be enough since mangastream is taking so long to do chapter. Death will come sooner than them.